Deli-Great rent, location and profitable! 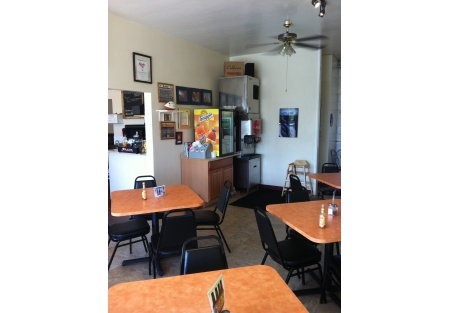 Here is a local favorite sandwich shop that has everything a new owner could want going for it. With a large and growing customer base, excellent online reviews, super high traffic and a low cost lease you are on your way to owning a very successful business. This California style (all high quality,super fresh ingredients) deli offers innovative and inspired sandwiches that create loyal customers and the best advertisers you could ask for, after just one bite. The staff has been extensively trained to provide consistently outstanding meals for their customers each and every time. The shop is located in the heart of El Cajon, on one of the highest traffic count streets in the city. Many new and upgraded public buildings are now only walking distance. The employees who work in them and the surrounding retail/commercial/residential areas have fast become fans and continue to drive sales upwards. Sales for the year have increased substantially and are now on pace to end the year right at 100k. If the current sales trend continues the 2012 projected sales are expected to be in the 150k range. The space is a well designed 1300 square feet inside with another 300 square feet of enclosed patio for outside seating. Lease is only $1200 per month and expires in 2015 with the possibility of options available. If you are looking for a business where you can hit the ground running you have found it, dont miss this great opportunity..
Another quality listing brought to you by Stone Path Brokerage services.